There may be a time in you life where you are offered an opportunity to work abroad. While working abroad may seem like all rainbows and unicorns, there is so much more to consider beneath that pretty picture of working abroad. 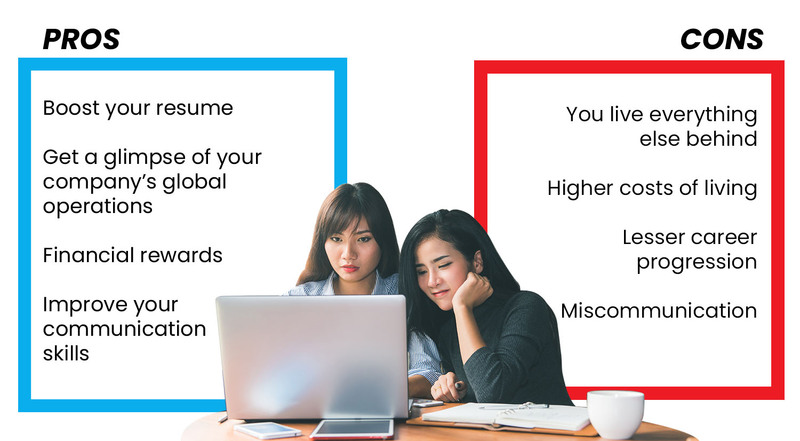 Here are some pros and cons of working abroad to keep in mind, so you know what you can expect when such opportunities pop up. No one says that working abroad is easy, and you will definitely be recognized for having done so. The ability to work in a new workplace, in a entirely new environment and whole new different culture speaks a lot about you. Your bosses will recognize how you have grown to become independent, they will applaud your willingness to put yourself out of your comfort zone and praise your ability to adapt fast to a different environment. These are critical skills needed to ace in the corporate world, and you bet that others will be impressed! Putting down your overseas work experience in your resume would definitely be a boost. It’s not all about the experience and skills you can bring to the table, but it is also about personal growth and development. Working abroad will give you an idea of how it is like to properly work in another culture. You also get an in-depth glimpse of your company global operations, and compare how similar/different these operations are as compared to the one back at your home country. This is a rare immerse experience that countless of work papers and meeting presentations will never be able to cover. Plus such working abroad experiences can be few and rare to come by, so seize that opportunity if you ever have one. Some companies may offer you a variety of financial incentives you are posted abroad. The compensation package can include anything from food reimbursements, to bonuses, to free accommodation and some even do offer chauffer services. 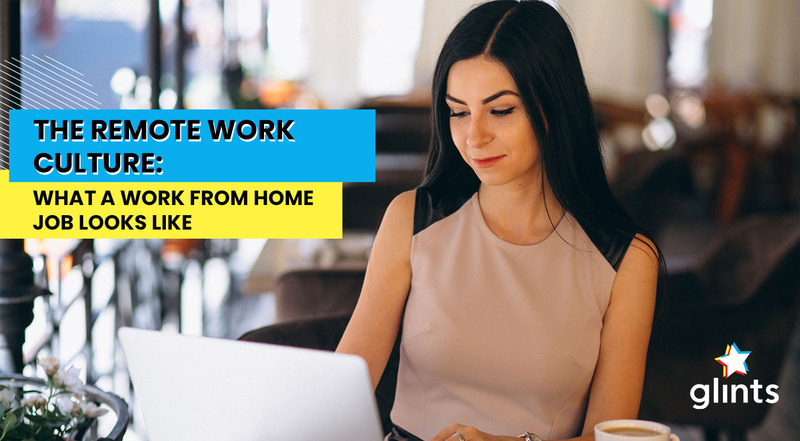 After all it, is not easy to completely uproot your life (and possibly your family’s) from home to relocate to somewhere unfamiliar, and so there is a high chance that you will be handsomely compensated by your company. However wait, don’t rub your hands in glee to fast. If you have been offered a huge compensation package that seems to good to be true, you may want to reconsider the opportunity again. Some companies may offer staff extra incentives to entice staff to head to more “difficult countries” where there are huge language and cultural barriers, poor work-life balance or perhaps that country you are bound to head to is not the safest. Remember to read up as much as you can on the country before you put your signature to that relocation contract. Working in a completely different working environment would mean opening your minds on how people from different cultures communicate. Relocating to a conservative Asian country would likely mean that seniority is valued and you may have to tweak the way you communicate with your colleagues and bosses. On the other hand, going to a Nordic country would mean that you get to enjoy flat hierarchies and loosen up a little. No matter where you go, you will be sure that your communication skills will be upgraded by a notch as you learn to adapt to different communication styles. You may even get to pick up a new language here or there, which is always a plus! One of the most painful thing about working abroad is that time back home does not stop. While you move on with your new career overseas, you miss out on birthdays, gatherings, weddings and all that festivities with people that you grew up with. You miss the warmth of people whom you are ever so familiar with, your family and your friends. It’s easy to fly back home if you have been relocated to a country nearby. But if you are working abroad in a country that is not around the region, it may not make sense (economically) for you to fly back often to meet your loved ones. Homesickness will be very real then, so prepare for that! Moving abroad to work may be rather expensive. Some companies would require you to pay for your own accommodation and everything else, which can create a deep hole in your pocket. Also, the country that you are relocated to may have a higher cost of living. When you shift overseas, it’s rare to get full meals that cost as cheap as $3/4 like what we have here in the local hawker centres. Throw in tipping and high taxes in the mix, and you may find yourself shelling out a lot of cash for dining alone. Tip: sharpen your cooking skills before you go, just so you can cut costs and also reduce any homesickness by cooking some dishes from home. Other hidden costs of living abroad include medical care which can get really pricey for foreigners. Working abroad may lead to a disruption in your career progression too, if things do not go your way. This is especially so if you are only posted overseas temporarily, for a short period of time. How so? Working in a different timezone means that you do not have the privilege of constantly interacting with your bosses, and leaving a good impression on them. They would not be able to see the amount of hard work you have put in, which can possibly translate into lower opportunities for progression. Aside from that, you would probably have to take on a less senior position in your company abroad due to your limited local experience and language skills. When you are working in a country which speaks in a foreign language, it may take some time before you figure out what your colleagues are trying to say, especially if they carry a different accent. In the meanwhile you may have to grapple with miscommunication or misunderstandings due to language barriers and that can definitely be a downer in your overseas working experience if you don’t manage it properly. With all these pros and cons laid down for you, have you decided if working abroad is really the best of you? If you are still in a dilemma, perhaps the next thing you can do is to jot down what you really prioritize in life. Do you value spending quality time with your families and loved ones? Are you interested in learning how to work across different cultures and personalities? Or are you keen to gain valuable skills that will help you in your career for the long run? Take some time to think about this because it could then firm up your decision on whether you want to work abroad. Don’t rush through these things as it is definitely a big decision to make and you do not want to regret it.